This is a congregation that dates back to 1735 when German speaking immigrants worshiped along Bieber’s Creek in Berks County, PA. In 1747, a log cabin was erected in what is now the village of Dryville. The current church was built in 1915. 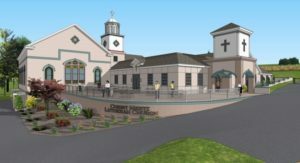 Renovations and new construction are currently underway to improve sanctuary seating, along with existing changes to the narthex, basement and handicapped accessibility. Kirby-Smith Associates provided fundraising counsel raising more than five times annual offering.